What relation was he to Henry Grant Edwardes born 1861 who married Lucy Purssell? 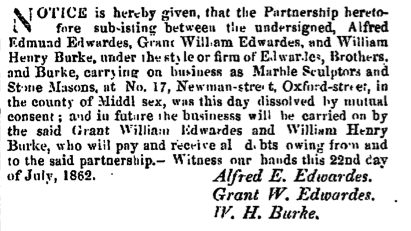 Hello, What evidence is there that Grant’s father was John Mortimer Edwardes? I note that in the marriage register, in both the 1841 and 1851 censuses, and on his death certificate he is plain “John Edwards”.